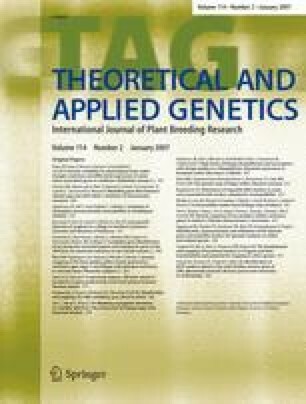 The level of variation and the mutation rate were investigated in an empirical study of 244 chloroplast microsatellites in 15 accessions of Arabidopsis thaliana. In contrast to SNP variation, microsatellite variation in the chloroplast was found to be common, although less common than microsatellite variation in the nucleus. No microsatellite variation was found in coding regions of the chloroplast. To evaluate different models of microsatellite evolution as possible explanations for the observed pattern of variation, the length distribution of microsatellites in the published DNA sequence of the A. thaliana chloroplast was subsequently used. By combining information from these two analyses we found that the mode of evolution of the chloroplast mononucleotide microsatellites was best described by a linear relation between repeat length and mutation rate, when the repeat lengths exceeded about 7 bp. This model can readily predict the variation observed in non-coding chloroplast DNA. It was found that the number of uninterrupted repeat units had a large impact on the level of chloroplast microsatellite variation. No other factors investigated—such as the position of a locus within the chromosome, or imperfect repeats—appeared to affect the variability of chloroplast microsatellites. By fitting the slippage models to the Genbank sequence of chromosome 1, we show that the difference between microsatellite variation in the nucleus and the chloroplast is largely due to differences in slippage rate. Communicated by H. C. Becker. Supplementary material is available in the online version of this article at http://dx.doi.org/10.1007/s00122-006-0425-9 and is accessible for authorized users. We thank M. Nordborg and O. Savolainen for their help with the material, M. Sterner and L. Hall for their technical assistance, B. O. Bengtsson and N. A. Rosenberg for their comments on the manuscript. The work was supported by the Crafoord Foundation, the Erik-Philip Sörensen Foundation, the Trygger Foundation and the Magnus Bergvall Foundation.